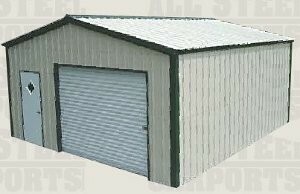 Dewey’s Auto Supply is an authorized dealer for All-Steel Carports. 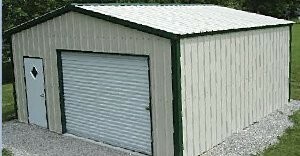 These affordable buildings offer exceptional quality for all your storage needs. 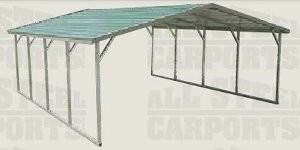 Made of premium gauge steel, these carports are a great solution to your parking and storage needs. 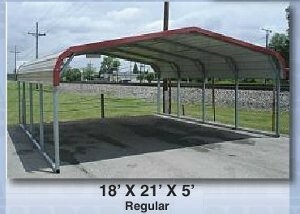 Any size carport, garage, storage building and motor home cover with custom sizes available! 12 different colors, temporary anchors included at no cost. Highly recommended for sand and clay. 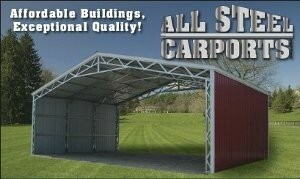 Why choose an All-Steel Carport? Before you buy anywhere else, compare our installation schedules and value-added standard features! 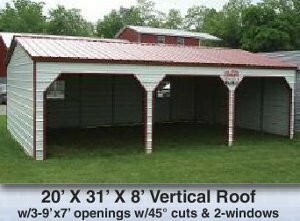 Note: All Steel Carports highly recommends all buildings over 36 ‘ long to be vertical style due to potential issues at seams. 22 feet wide and up, we recommend using 12 gauge material. 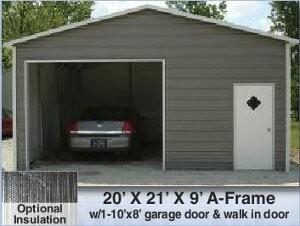 We recommend adding extra height for future garage usage. 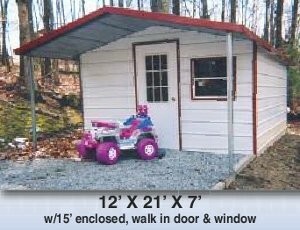 Frames are 1 foot shorter than roof length-wise.